With one member of staff off sick other staff and students have rallied around to help keep the farm running smoothly – just as well because there is a lot happening. 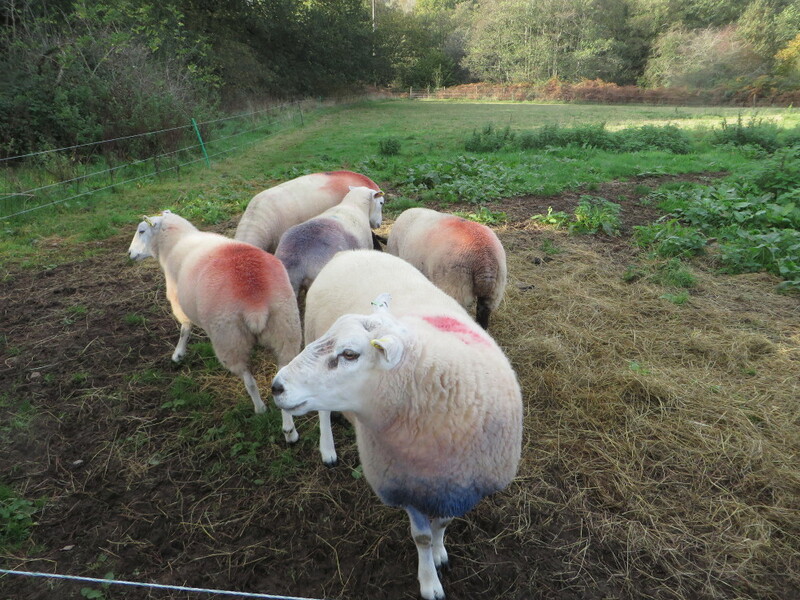 The sheep and lambs have been brought back from their holiday in the Teign Valley and we think four of the adult ewes are now expecting lambs next spring, with our ‘Llyen’ ram Calvin (pictured) being the dad. Our other four ewes will soon also be ‘in lamb’ to another ram. Meanwhile the last of this year’s lambs are ‘finishing’ on an improved diet of fresh grass (surprising for so late in the year), hay and lamb feed. Our turkeys are healthy and doing well, it looks like they will be ready as planned for Christmas. Turkeys are, it has to be said, not the cleanest or smartest birds but ours are lucky because not only do we carefully feed, house and water them, being ‘free range’ they can also go outside and find their own food. We also have 10 more Aylesbury ducks, bred to grow fast and they certainly do, they will also soon be ready. The four well bred pigs bought at Exeter market in August at about 40kg have each more than doubled in size to be about 110kg by mid November. They simply never stopped demanding food, continued to grow amazingly fast and, as a result, are now food for us themselves. 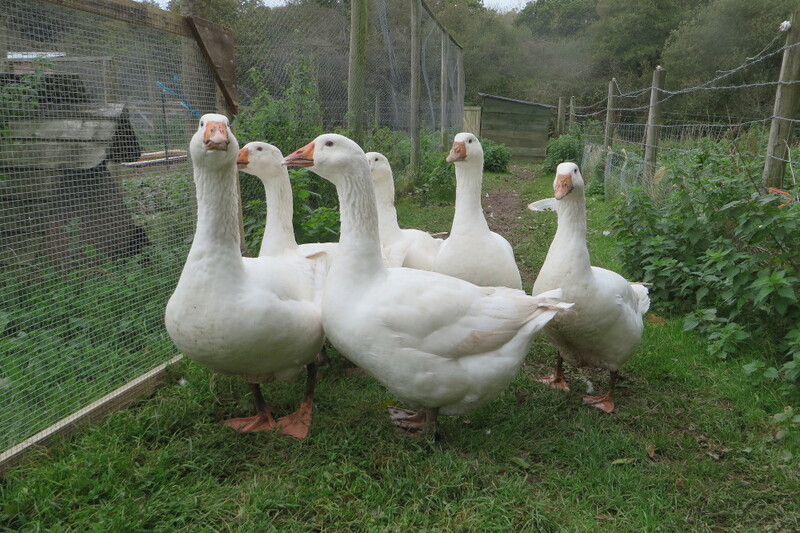 Many people who visit the farm find their favourites are our white geese. When you get to know them you find geese are character filled birds, they chatter to each other and to anyone watching, they waddle sedately about, they watch us going about our work and they seem to wonder what is happening. But, geese don’t seem to like adventure very much, even with the gate open they don’t go far, they like to be near their home! But, what having a farm makes everyone involved realise is that the animals, although they are very well looked after, probably as well looked after as almost any farm animals, are kept as food, or to produce food, for us. All the animals now ‘finishing’ or ‘ready’ will soon be food for us and that reality is something which the school farm helps everyone involved, students and staff, understand and appreciate.